Slightly unclear about this. 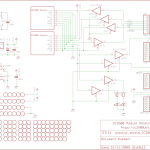 Do you produce the hardware kits? Assembled or not assembled? I have 2 Gen 1 lights and am a Windows software engineer, so it would be fun to get hold of the hardware. hello, is it possible to order a kit assembled, ready to run? I would like to know where to get a kit as well. Not really clear from the site. Could you mail me as too? If you have any kits left that is. Do they come assembled at all? I really should set up contact info and a “how to buy a shield” page…. Hallo, I would like to order an shield kit 0.5 to. 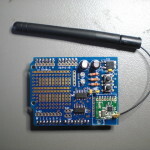 So, maybe there’s any way to order an fully assembled and tested kit (maybe Arduino + CC2500 shield + antenna) thats ready and easy to use by an serial connection? Are you still selling the PCB’s or kits? I’d like to have some shields too. 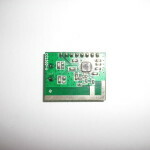 I have TRX2 modules from Quasar (http://www.quasaruk.co.uk/acatalog/FM_Transceiver_Module.html), can you confirm they are compatible with this shield? The TRX2 are compatible with the most recent version of this shield. I’ll send you an email. I’m also interested in buying a v06 shield. Best would be a ready to run version. Could you send me an email please? I’d like to buy a shield too! Please can you let me know the details? Hi, I would like to purchase a fully assembled shield. Please contact me. Thanks. Hi, I’d like to buy a fully assembled shield … any chance you can contact me ? I’m interested in a kit as well, can you please contact me? Please could I buy your shield? Excellent job in creating this, I’m really impressed by your work. great job! i’d like to buy one of your shields. maybe you sell it fully assembled and/or with an antenna as well? could you please contact me. thanks! My Living colors remote (gen 1) starts to fail, so I would loe to switch it on via the Klikaanklikuit remote now. Could you send me some details on ordering the board, if still available? Is it still (or was it ever) possible to buy one of these shield, (preferably) with the components ? Like to know as well if this is still available. And where to get it. Preferrably pre-assembled if possible. Would love to hear from you if your cc2500 shield is still being sold (preferable with components or even better pre-assambled). Thanks in advance! In case you still have shields available I would like to buy one. Self assembly would not be a problem at all. Could you tell me how to order a shield please. Your shield seems to be the better way to finish my project. How can i buy one (pre assembled) ? I still have some in stock, I’ll send you an email. I am also interested by your shield as i own a LivingColors 1st generation. Is this shield still being sold ? How can I buy one (preferable with components or even better pre-assambled) ? I’m glad i saw your comments. Do you still have some shields in stock? 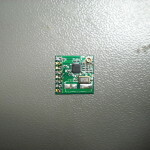 I was planning to build something from scratch (coder, new to electronics), making use of your code and a CC2500, but the module I got (http://www.ebay.co.uk/itm/331918275270) is tiny (3x the width of the chip & no through-holes), and comes without headers, so it’s a bit intimidating for my soldering skills. 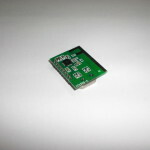 * Do you still have any pre-assembled shields & a module (or link to a current seller)? I’m intending to pair it with an ESP8266 + power supply (that’s already driving some 433MHz remote switches via HTTP having decoded the original remote codes), but I could handle having a larger shield if it gets me up and running. 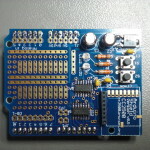 – is this sheild the minimum setup needed to drive the cc2500 via Arduino? Thanks so much for publishing projects like this – it helps inexperienced sparks like me get off the ground. As it so happens i made an adapter board to be able to put new form factor CC2500 modules in the old connector. It may be just what you need. I’ll send you an email. I would like to buy if you still one. Hi Arno, Yes, i still have some shields. I just sent you an email. Ivo, do you still have some? 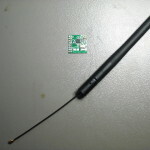 Incl wondering if I could connect the shield also with An esp8266 of look-a-like, to implementatie thé livingxolors setup tot my wireless hass integration. Hi are you still selling those shields?